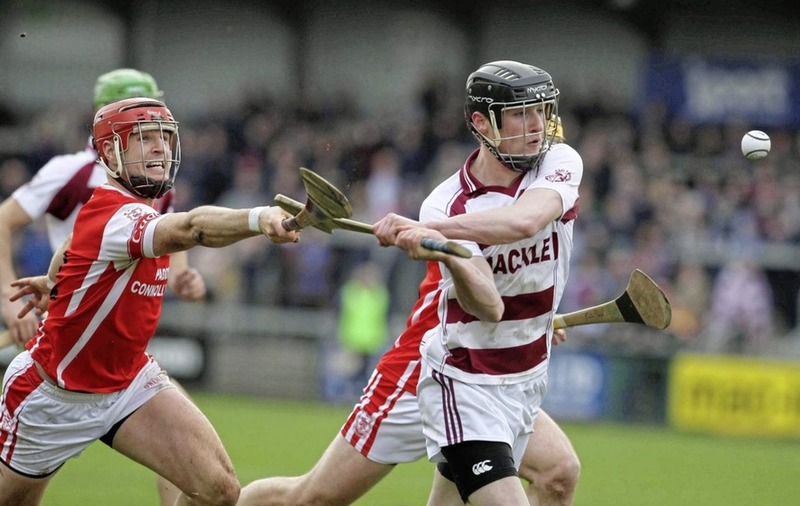 Slaughtneil's Brendan Rogers joins six from Cuala, six from Na Piarsaigh and one each from Liam Mellows and Ballygunner on the inaugural AIB club hurling Allstar select. BRENDAN Rogers is the sole Slaughtneil representative on an inaugural AIB GAA club hurling team of the year dominated by All-Ireland champions Cuala and beaten finalists Na Piarsaigh. Rogers, a dual player for both club and county, excelled in the full-forward line as the Emmet’s retained the Ulster title and gave a scare to Na Piarsaigh before falling away in a disappointing final quarter. He is the only Ulster man on the side, with fellow beaten semi-finalists Liam Mellows also securing one position, with Adrian Morrissey’s form rewarded in the half-forward line. Ballygunner and Waterford star Philip Mahony also earns a spot after helping guide his club to the Munster decider, hitting 1-24 in the provincial series alone. The rest of the team is divided between the back-to-back champions from Dalkey and the Limerick side, with the pair only separated by a single score after two epic games in March. Cuala brothers Con (who is also nominated for player of the year) and Cian O’Callaghan are both included alongside former Kerry star Darragh O’Connell. Goalkeeper Sean Brennan, centre-back Sean Moran (another player of the year nominee) and forward David Treacy make up the rest of the south Dublin club’s contingent. Na Piarsaigh also have six men on the team, with Michael Casey (the final player of the year nominee) and Alan Dempsey in the full-back line, Cathal King in the half backs and the inspirational Ronan Lynch at midfield. The brilliance of Adrian Breen and Kevin Downes is rewarded in attack, and will collect their awards along with the rest of the selected footballers and hurlers at a function in Croke Park this Saturday night. Brendan Rogers will be joined by four clubmates that were named on the football selection last week, namely Antoin McMullan, Karl and Chrissy McKaigue, and Christopher Bradley.